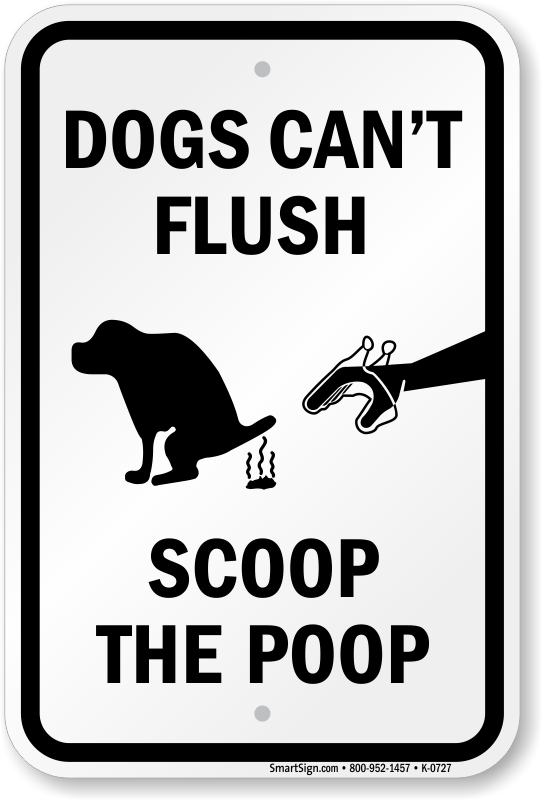 This dog poop sign asks dog owners to clean their pet's mess as dogs can't flush. Post this message to remind dog owners to keep the surroundings clean. Please note that 7" x 10" and 10" x 14" signs have 4 corner holes. Best usage for posts and brackets are on 12" x 18" signs.